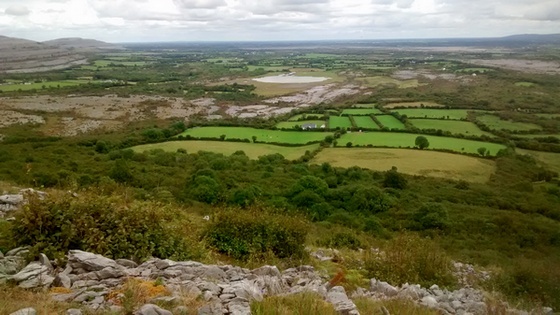 The Burren is famous for its unique ecology and its karst limestone landscape, which originated in the activity of sea creatures millions of years ago. After returning to sea level, I revisited the map, scouting for names and places of interest for future trips. The next day, I learned that this is essentially how Cape Fear got its name. The Executioners, I thought, was a kind of a turn-off of a title. And I think I had the idea that geographical titles were sometimes successful. You know, like Casablanca, Dodge City. And it occurred to me to run my finger up the Atlantic coast, from Florida on north, and look for an interesting title. And I was lucky enough to discover Cape Fear, the Cape Fear River in North Carolina, and it seemed extremely appropriate for our story. It was. When I first heard of the film, I didn’t know if the title was geographical or figurative, and it hardly mattered: its sparse syllables conjured up just the right elements for a punchy psychological thriller. I can only imagine Peck’s satisfaction when his roving finger reached those words on the map. 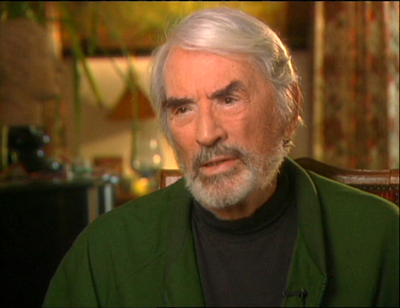 I saw Scorsese’s film first, on a ferry to France for a school exchange, our parents hundreds of miles away. The boat’s isolation and erratic movement deeply enhanced the film experience, especially its stormy climax. The French title, Les Nerfs à vif, which adorned the posters on the ferry, didn’t have the same effect at all on us giddy teens. 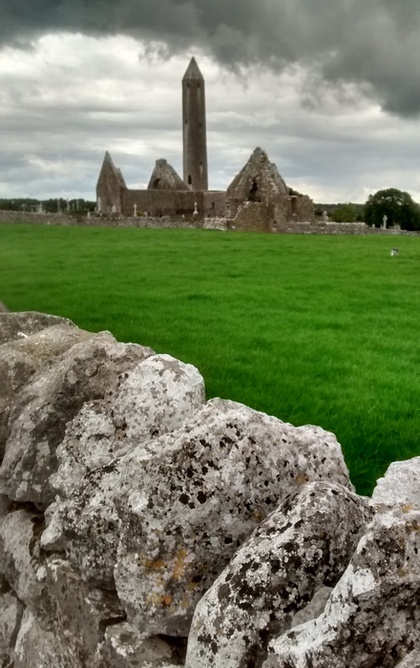 Leaving the Burren, my friend and I headed east across Clare and stopped at the ruins of Kilmacduagh, which include a c.7thC monastery and a tall (and visibly leaning) 12thC round tower, with a single door 7m off the ground. It looked imposing under the gathering rainclouds: Had it been named after a certain river rather than the son of an Irish chieftain, it would not have seemed altogether inappropriate. This entry was posted on Sunday, August 19th, 2018 at 7:12 pm and is filed under film, Ireland, naming, personal, photography. You can follow any responses to this entry through the RSS 2.0 feed. You can leave a response, or trackback from your own site. There’s a coincidence. I watched that film (for just the second time) about a week ago, and it was in the Galway town of Gort that I bought the map of the Burren. Captain Cook liked to give names like this: Mount Warning, Point Danger, Cape Tribulation, Repulse Bay, Weary Bay, Cape Flattery, Mount Upstart, Thirsty Sound. Deception Bay was named by John Oxley, who originally named it Pumice Stone River because he thought it was a river. When he found it was a bay he changed the name to Deception Bay. That’s a great list, almost like found poetry. And I love the story of how Deception Bay got its name. Sadly Cape Fear seems to becoming a synonym for an Ecological Disaster. I’m sorry to see this.